On Saturday, May 23rd, three Asian American literary organizations across the country will come together as a community and a family to honor literary ancestors, mentors and teachers that have inspired and emboldened us throughout the years. This event will take place in real-time as Kearny Street Workshop, Kundiman and The Twins Cities Asian American Literary Community share readings, collaborative writing and more. Join Kundiman at Fordham University for readings, collaborative creative writing and a special reception. Take the A/B/C/D/1 train to Columbus Circle. Upon entering the glass doors inform the security desk that you are attending the English Department event. Take escalators up 1 floor to Plaza level. Head to the back of the student cafeteria and you'll see the sign for the South Lounge. Fay Chiang has been a poet, visual artist, community and cultural activist in NYC Chinatown and the Lower East Side for the past 44 years. In the 1970s, Fay was executive director of the Basement Workshop, the first Asian American multidisciplinary cultural organization in NYC. Fay then worked at Henry Street Settlement, NY Newsday’s Public Affairs Office, Poets & Writers’ Readings/Workshops before joining Project Reach where she currently develops programs for young people at risk. Fay also volunteers for organizations focused on arts, economic justice, community safety, and community organizing. 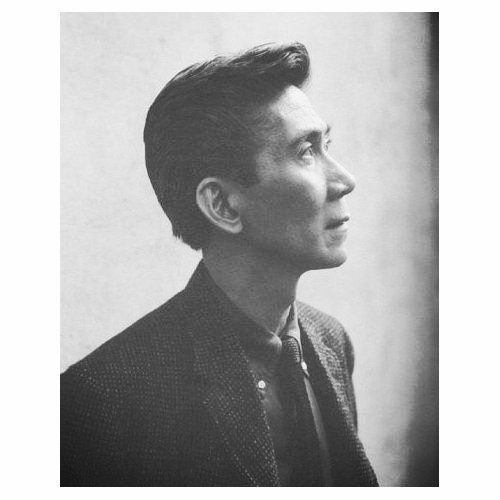 Known as the “Pope of Greenwich Village,” Jose Garcia Villa had a special status as the only Asian poet among a group of modern literary giants in 1940’s New York that included, E. E. Cummings, Mark Van Doren, W. H. Auden, Tennessee Williams, and a young Gore Vidal. Villa was a global poet who was admired for “the reverence, the raptness, the depth of concentration in [his] bravely deep poems. Vijit Ramchandani grew up in India and came to the United States in 1978. He described himself as a once-in-a-while poet, even though he had been writing for many years. He had read his poems on Minnesota Public Radio as well as many community events, including the Twin Cities protest cabaret against the play Miss Saigon.. Vijit worked at the Wilder Foundation as a management consultant for community organizations. A book of his poems, American Mango, was published posthumously. The late Esther Torii Suzuki came to Macalester College in 1942 at the age of 16 from a Japanese detention camp in Portland, Oregon, where she was released specifically because of her acceptance to Macalester College. The first Japanese-American student at Macalester, Ms. Suzuki graduated from Macalester in 1946 with an honors degree in sociology. In the years following her graduation, Ms. Suzuki played many roles: community leader, volunteer, activist, and mentor. As a social worker for Ramsey County, Ms. Suzuki spent most of her career participating in civil rights groups and developing programs specifically to assist the Southeast Asian-American population. Later in her life, Ms. Suzuki established herself as a storyteller and writer and gave a voice to both the hardships and accomplishments she had encountered as a Japanese-American. Awarded the Macalester College Alumni Service Award in 1999, Ms. Suzuki passed away that same year. Catharine Deaver Lealtad and Esther Torii Suzuki received the Macalester College Board of Trustees Award for Meritorious and Distinguished Service on September 13, 2002. Nancy Bulalacao studied performance poetry with Kurt Lamkin and Pablo Medina at New School. She has created and curated public programs for the Asian American community in NYC for 20 years. She was cofounder of Poets Theater and currently prinicipal of FAM (Filipino American Museum). This coming June she and her husband are expecting their first baby, a little boy. Alison Roh Park is a Pushcart-nominated poet, Kundiman Asian American Poetry fellow, and winner of the Poetry Society of America New York Chapbook Fellowship and Poets and Writers Magazine Amy Award. In 2010, she received the Jerome Foundation Travel and Study Grant in Literature to travel to rural South Korea to study gender and the impact of U.S. foreign policy and globalization on family farming. She co-founded The Good Times Collective, a group of emerging woman of color poets from the outer boroughs of New York City.